Prestige is becoming the norm, especially when it comes to the company car parked in the driveway, says new research out today from an independent automotive research agency. According to Sewells Research and Insight, BMW, Audi and Mercedes-Benz are dominating the choices when it comes to the next company car. 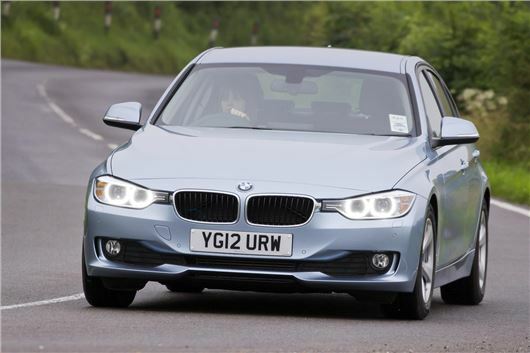 In the largest study of its kind across the fleet market, almost half (45 per cent) of those questioned in the Fleet Operator Attitudes Survey rated the premium German brands as the most desirable company cars, with BMW topping the list with almost a fifth (19 per cent) of the votes. "Yet we are also seeing fleet managers torn between delivering what their drivers want, which is everyday prestige, against what their budgets can deliver”, said Simon Staplehurst, commercial manager at Sewells Research and Insight. "This is why Ford and Vauxhall continue to be major heavyweights when it comes to fleet, claiming almost a fifth of the votes combined when it comes to the most desirable cars." While these premium automotive brands are widely known for their aspirational positioning; the study, which questioned almost 2,050 fleet decision makers across the UK, discovered that employees are both expecting and demanding prestige when it comes to their next company car. And with two fifths (40 per cent) of fleet decision makers sourcing information from employees when making decisions about future company cars, this trend for everyday prestige has been reflected in the latest SMMT sales data, with drivers increasingly influenced by the ‘snob factor’, driving enjoyment and desirability, choosing premium German brands over their everyday counterparts. Latest figures show Audi, Mercedes-Benz and BMW have grown their market share over the last year between 13% and 15% each, while Ford and Vauxhall are lagging withfive per cent and six per cent growth respectively. Staplehurst added: "Our data is increasingly demonstrating a rising trend for everyday prestige when it comes to driving; with BMW, Mercedes Benz and Audi scoring highly in our research. People are demanding more, their expectations are higher and they are not settling for second best anymore. "To deliver against driver demand, premium manufacturers are extending their ranges to include smaller and more economical products, making the brand more accessible and resulting in this shift towards everyday prestige – but at competitive prices. "And although premium brand cars will cost more in the short term, the re-sale values are higher, making them a cost effective option for businesses looking to entice and reward employees with a company car."